When it's time to replace your garage door, choosing which kind can be difficult. Overhead Door offers a wide selection, but how do you know which one is right for you? 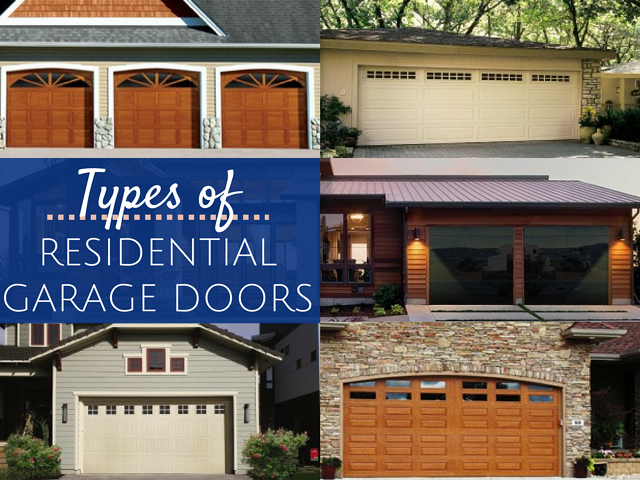 We've made it easy with this quick reference guide to discuss the different types of residential garage doors. Steel residential garage doors are one of the most common varieties. Not only are they durable and easy to maintain, they're very cost-effective. Overhead Door offers several models, including carriage house styles. Additionally, these doors come in various colors, so you don't have to repaint your house when the time comes to replace your garage door. 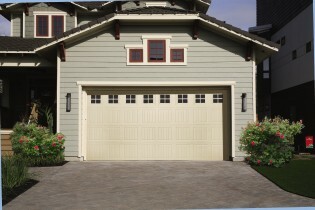 As an economical alternative to steel, you should consider an aluminum garage door. Aluminum's exterior finish is resilient and comes in all of the colors of the rainbow. Our modern designs combine glass panels on an aluminum frame to provide an aesthetic look that will make the neighbors jealous. If you want a traditional look, wood doors are a great way to accomplish your goal. Genuine wooden garage doors are absolutely beautiful, though they are fairly high-maintenance. The doors arrive unprimed, which allows you to stain or paint them the color of your choosing. It's a lovely alternative to standard metal garage doors. If you need an extremely durable garage door but don't want to sacrifice classic design, choose one of our vinyl options. The thick vinyl coating gives the appearance of painted wood, without all of the upkeep. Additionally, vinyl doors handle dents and scratches better than standard steels doors. If you love the look of wood garage doors but don't like the maintenance, consider fiberglass doors. Fiberglass is extremely light and can withstand dents. Best of all, there's no rust or wood-eating insects to content with! These doors come in a variety of panel and window styles, so you're able to create a customized design. Are you ready to revamp your existing residential garage doors? We want to help you! Schedule a design consultation to meet with one of Overhead Door's experience teams to help you choose.